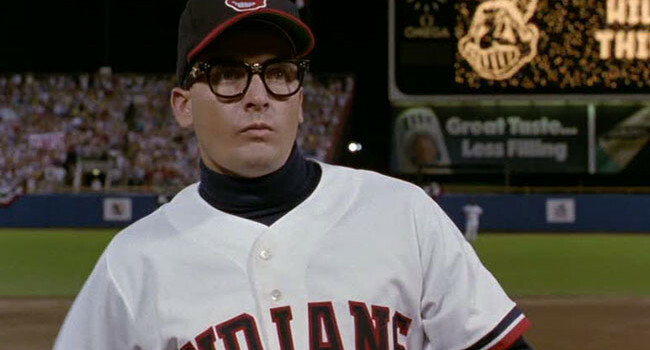 Charlie Sheen stars in Major League as pitcher Rick Vaughn. When the Cleveland Indians owner wants to put out the worst team possible, they hire a cast of misfits including Vaughn. He has an amazing arm but lacks control, earning the nickname Wild Thing. That is, until he takes an eye exam and is fitted with skull-and-crossbones glasses.